The Young Professionals Network presents Kate Crager-Tobin with the Columbus Realtors® 10 under 40 distinction. 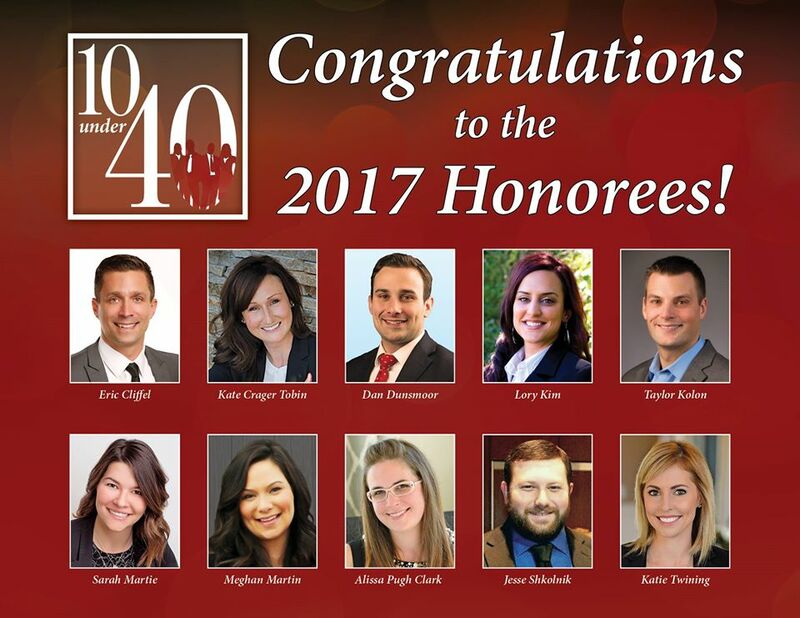 London, OH – Feb. 3, 2017 – Crager Real Estate’s Kate Crager-Tobin has been honored as one of Columbus’ top 10 realtors under 40 years old for 2017. The esteemed group of award-winners is comprised of industrious and exceptional real estate agents throughout the region. The organization recognizes those who are successful in their real estate career, demonstrating enthusiasm, innovation and commitment to raising the bar in real estate. Each realtor can only be awarded once in his/her career. Crager-Tobin is not new in the real estate game, boasting over 15 years of experience. She is a second generation realtor and native of Central Ohio, following in her mom’s footsteps. Together, Crager-Tobin and her mom started their London, Ohio firm, Crager Real Estate, in 2001. Crager-Tobin received her real estate license that year, at the age of 18. She used her license while in college, earning her degree in business management. She then went full time into real estate sales, obtaining her broker’s license in 2008, the highest level of licensing available in Ohio. The ten finalists will be featured on the cover of the March/April issue of In Contract magazine. They will be introduced at the annual Young Professionals Network Kick-Off on Feb. 23l. The accomplishment will be documented with a commemorative plaque and recognition at the annual Columbus Realtors® Awards Luncheon in April. A number of criteria are considered throughout the application process, including production. Production is based on sold transactions reported in the MLS (both listing and selling side) for the entirety of 2016. While business success does rank as the top factor, community and professional leadership are also very important. Crager-Tobin’s impressive resumé fits the bill perfectly. She reached her $5 million club sales award in 2016. She is currently serving as the President of the Madison County Area Realty Association and the Madison County Representative to the Columbus Realtors Board of Directors. Crager-Tobin is also a 3 year winner of the Five Star Professional Award and a two year winner of the OAR President’s Club Award of Distinction. The finalists represent varying business niches and geographic locations. In addition, Columbus Realtors® enjoy rewarding compelling stories, such as unique business strategies and overcoming difficult obstacles. For more information, contact Kate Crager-Tobin at (614) 588-3851.